Paleo Raw Lemon Cake (nut free). Hands up if you love raw cakes?! Hands up if you want to stop eating so many nuts?! Us too, so we just had to make a nut free raw cake and ta-da… here it is! 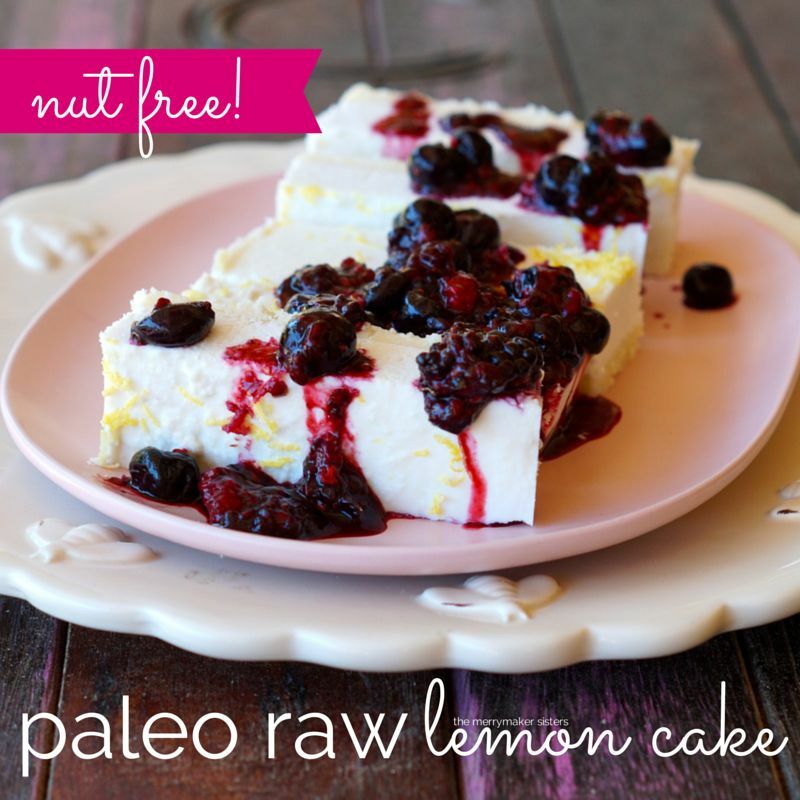 Our Paleo Raw Lemon Cake is all kinds of amazing and it’s 100% nut free! YAY! Hope you love it as much as we do! Paleo Raw Lemon Cake get in our bellies! Line an 20 x 20cm slice tin with baking paper (or use a silicon mould). Start with the base. In a food processor (we use our vitamix) whiz the drained dates and coconut oil until a smooth paste forms. Add the coconut and whiz until combined. Transfer the mixture in to the prepared tin and press out evenly to cover the base. In a food processor (we use our Vitamix) whiz the coconut until crumbly. Add the coconut oil, coconut milk, honey, lemon juice and ¾ of the rind and whiz until smooth. Pour the filling mixture on top of the base, shake the slice tin to even out the top. Add the remaining lemon rind to the top of the cake. 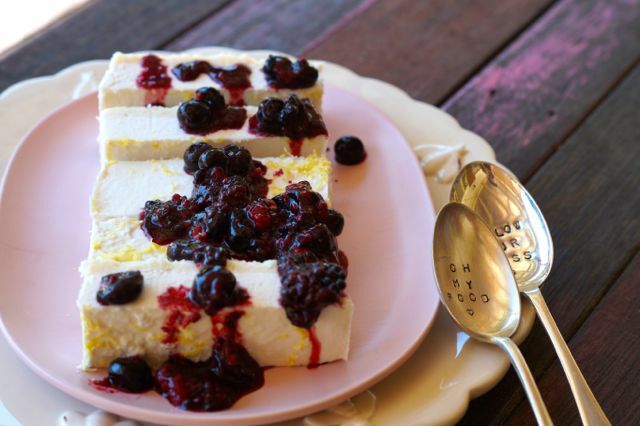 Place the cake back into the freezer for at least 1 hour before slicing and serving with mixed berries.